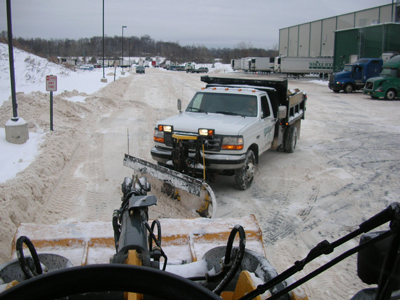 Preferred Properties Landscaping has provided commercial snow removal services for clients in central Connecticut for over 24 years. Preferred Properties Landscaping excels in personalized service yet with the bigger punch to get the job done. Preferred's SNOW AND ICE RESPONSE PLAN is tailored to the scope of operations at every site. Our services include complete snow removal services such as snow plowing, hauling, shoveling, maintenance as well as clearing sidewalks driveways, salting, and removing ice. Preparation, timeliness, and execution throughout the duration of the storm are Preferred's signature approach. 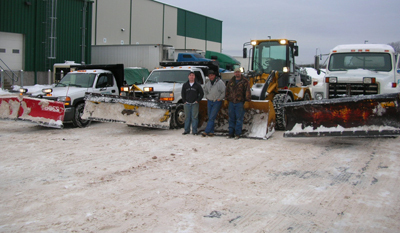 Preferred Properties Landscaping is equipped with state of the art commercial grade snowplows, pushers, front-end loaders, and skid steers, sanders and de-icers. Our priority is you. Our team approach is to blend in with the facilities team to make snow removal and de-ice a seamless integration with no aggravation. The answer is professionalism. Preferred Properties Landscaping is available twenty-fours a day to assist you in relocating and removing snow from your site. 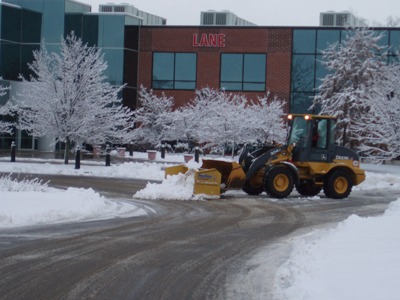 We have over a decade of Snow removal and ice removal experience with GE Corporate headquarters in Plainville, Whole Foods Distribution, Record Journal Publishing, to name just a few. Prior to each anticipated snow or ice event. Preferred Properties Landscaping staff goes through a checklist to ensure all equipment is up to snuff. Cold weather starts and dropping temperatures are the biggest equipment failures in the snow removal business. Not only do we have our own mechanic plowing along with us. Our staff is trained to fix the minor things all in efforts to maintain safe road travel for our clients. We take a proactive approach to snow removal. All our operators have met on site with the Lead snow commander review the SNOW and ICE RESPONSE PLAN. The staff reviews highlighted areas, roadways and paths which are illustrated during the drive-by. Snow loading areas are designated as well as areas treacherous to freezing and refreezing conditions. Areas are marked out if necessary. Curb visibility and safety are a must. As soon as snowfall commences Preferred's staff begins a revolving plowing and sanding approach. Awareness of anticipated snowfall amounts, time of day, ending snowfall, business operations, temperatures at snowfall end and night time temperatures are some of the things to take into account. Plowing through the storm is essential. Interactive discussions on how the storm will be handled will be clearly identified. After ending snowfall, final clean-up is done. Preferred Properties Landscaping sends in another round for final clean-up, plow un-parked spaces, move snow back off curbs, clear snow and ice accumulations off the catch basins, clear foot paths where roadways intersect, checking loading docks, dumpsters and fire hydrants. PREFERRED PROPERTIES personnel take their jobs "SNOW SERIOUSLY"